Who wrote the Book of Esther? Tradition says Mordechai wrote the Book of Esther, but surely he wouldn’t have gotten the timing of his own expulsion a century wrong? At the very core of the Jewish holiday of Purim lies the Book of Esther, which tells they story of how two Jews, Mordechai and Esther, who ascended in the ancient Persian court of Ahasuerus, saved the Jews from genocide by the evil prime minister Haman. Jews have been ritualistically reading the book every Purim as long as the holiday has existed, which is over 2,000 years. But who wrote it? And could it be based on fact? Tradition has it that the core of the book was written by Mordechai, its main character and the cousin of Esther, and that the text was later redacted by the Great Assembly (a Jewish council of sages in antiquity). It could well be true. Certainly the author exhibits impressive knowledge of the royal palace in the Achaemenid capital of Shushan, and of the customs and traditions of this court. The writer most probably lived in Shushanand was privy to court life. Places where the text contravenes, or does not support, known history as we understand it today could be the result of this much-later redactment of the core text. But while the writer gets the general characteristics of the court right, we cannot be sure whose reign he is describing. Ahasuerus is the Aramaic form of Xerxes, who reigned in 485-465 B.C.E., but Xerxes’ queen is known to have been named Amestris, not Vashti, or Esther. In any case, none of these kings were documented, outside the Book of Esther, as having wives named either Vashti or Esther. Again, this could be an artifact of belated redactment by people not cognizant of the specifics. There is a problem with the timing, too, which could also be an artifact of the book having been redacted long years after the event. The Book of Esther says Mordechai was exiled from Judah with King Jeconiah: “Now in Shushan the palace there was a certain Jew, whose name was Mordechai… Who had been carried away from Jerusalem with the captivity which had been carried away with Jeconiah king of Judah, whom Nebuchadnezzar the king of Babylon had carried away” (Esther 2:5-6). But King Jeconiah was expelled from Judah by Nebuchadnezzar 130 years before Xerxes ascended the throne. Surely a contemporary writer like Mordechai would have known that. And then there’s the language of the book. On the one hand, the fact that no Greek influence made it into Esther is strong evidence that the book was written before the Achaemenid Dynasty was destroyed by Alexander the Great in 330 B.C.E., marking the start of the Hellenistic period. On the other hand, the form of the Hebrew of the book, and, even more so, the form of the many Persian loanwords embedded in it, both indicate that the book was likely written toward the end of the Achaemenid Dynasty. Taken together, the evidence of the vagueness about the king and the timeline problems, and the language, indicate that the redaction was by a Jewish scribe writing in Shushan in the middle of the 4th century B.C.E., about events that apparently happened more than a century before. One theory holds that the elaborate story is based on a Babylonian legend that lay at the center of a Babylonian holiday commemorating the victory of the Babylonian gods over the Elamite gods. Advocates argue that the names of the characters in Esther – Mordechai, Esther, Haman, and Vashti – are Marduk, patron deity of the city of Babylon, Ishtar, Babylonian goddess of fertility, Khumban, the Elamite god of the sky, and Mashti, an Elamite goddess. But the theory has a fatal flaw: there is no known Babylonian myth or holiday describing the victory of the Babylonian gods over the Elamite gods. Another flaw in the “Babylonian legend” theory is that a pious Jew, fiercely protective of his identity in exile, would be unlikely to have borrowed a foreign myth from the neighbors. So let’s look inside Judaism to seek a source for the story. A Jewish scribe, living in exile in Shushan, would have known at least parts of the Jewish canon that would later become the Bible. It is at least possible that the inspiration for the Esther story is the story of Joseph in the court of Pharaoh. Joseph’s story begins with him being taken in captivity to Egypt. Mordechai’s story begins with him being taken into captivity to Babylonia. Joseph refuses to lay with his master’s wife and Mordechai refuses to bow down to Haman – they both get in trouble. Joseph interprets the dreams of Pharaoh’s ministers, and Mordechai saves Ahasuerus from an assassination attempt – yet both go unrewarded. Pharaoh can’t interpret his dreams and is told of Joseph, Ahasuerus can’t sleep and is told of Mordechai; both provide the needed service and get the king’s ring; both are paraded on the street; and both become close advisers to the crown. Once again the language can be brought in as evidence. The writer of Esther seems to have known the story of Joseph and Pharaoh: he uses many of the same words. A great example of this is the word it-a-PAK – “he held back” – which, in the Bible, only appears in these two stories. But while the story of Esther could be based on the story of Joseph, it also bears a close relationship to the story of King Saul. It might even be seen as a kind of sequel, a theory supported by the way the author introduces the characters. Mordechai is introduced as a descendant of Saul, while Haman is introduced as a descendant of Agag the Amalekite king. This parentage is no trivial fact. In 1 Samuel, Saul loses his kingship to David because he defied the will of God and did not kill Agag. In Esther, Mordechai, a descendant of Saul, kills Haman, a descendant of Agag, and his children. Why would a Jewish scribe writing in Shushan in the 4th century B.C.E. write about events that settled the score between Saul and God in the preceding century? Jona Schellekens, a sociologist at the Hebrew University, came up with a theory for this, which he published in a paper in 2009. According to Schellekens’ interpretation, the Book of Esther is a fanciful family history of a rich and powerful Jewish family in 4th century B.C.E. Shushan, a legendary account of how the family’s ancestor Mordechai gained power in court, and of the source of the family’s wealth and authority. But beyond being family folklore, it’s also propaganda, says Schellekens. It’s as if the Book of Esther is saying that Mordechai’s family should be kings in place of the House of David. Not only did they once a long time ago save all the Jews (you weren’t there, it was awesome, just trust us on this! ), they also descended from Saul, the first king of Israel. If this theory is true, the attempt was unsuccessful, as we don’t hear of this family again in Jewish history. This is also the main weakness of this theory. How do we know they ever existed? That one word “posterity” is the only reference to his family. It could be that the family did exist, but that its fortunes changed soon after Esther was written. Alexander the Great deposed the Achaemenid Dynasty in 330 B.C.E., which could have pushed the family off the stage of history. Segun tomado de, http://www.haaretz.com/jewish-world/jewish-world-features/.premium-1.645283 el miércoles, 4 de marzo de 2015. Was Columbus secretly a Jew? 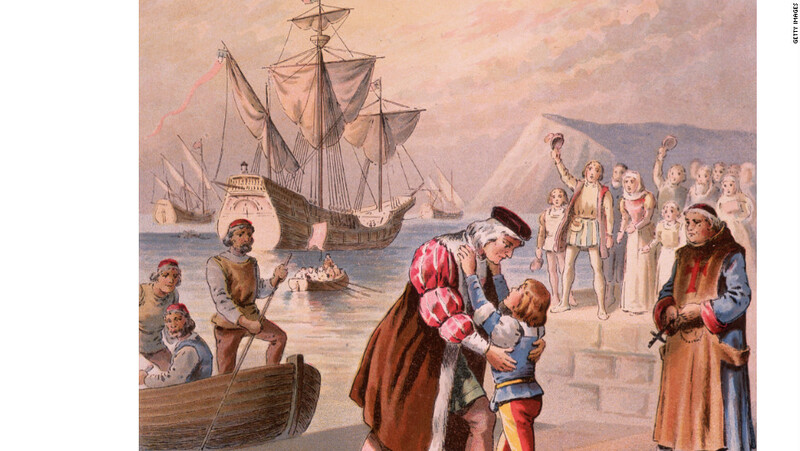 Christopher Columbus bids farewell to his son Diego at Palos, Spain, before embarking on his first voyage on August 3, 1492. Today marks the 508th anniversary of the death of Christopher Columbus. Everybody knows the story of Columbus, right? He was an Italian explorer from Genoa who set sail in 1492 to enrich the Spanish monarchs with gold and spices from the orient. Not quite. For too long, scholars have ignored Columbus’ grand passion: the quest to liberate Jerusalem from the Muslims. During Columbus’ lifetime, Jews became the target of fanatical religious persecution. On March 31, 1492, King Ferdinand and Queen Isabella proclaimed that all Jews were to be expelled from Spain. The edict especially targeted the 800,000 Jews who had never converted, and gave them four months to pack up and get out. The Jews who were forced to renounce Judaism and embrace Catholicism were known as “Conversos,” or converts. There were also those who feigned conversion, practicing Catholicism outwardly while covertly practicing Judaism, the so-called “Marranos,” or swine. Tens of thousands of Marranos were tortured by the Spanish Inquisition. They were pressured to offer names of friends and family members, who were ultimately paraded in front of crowds, tied to stakes and burned alive. Their land and personal possessions were then divvied up by the church and crown. Recently, a number of Spanish scholars, such as Jose Erugo, Celso Garcia de la Riega, Otero Sanchez and Nicholas Dias Perez, have concluded that Columbus was a Marrano, whose survival depended upon the suppression of all evidence of his Jewish background in face of the brutal, systematic ethnic cleansing. Columbus, who was known in Spain as Cristóbal Colón and didn’t speak Italian, signed his last will and testament on May 19, 1506, and made five curious — and revealing — provisions. Two of his wishes — tithe one-tenth of his income to the poor and provide an anonymous dowry for poor girls — are part of Jewish customs. He also decreed to give money to a Jew who lived at the entrance of the Lisbon Jewish Quarter. On those documents, Columbus used a triangular signature of dots and letters that resembled inscriptions found on gravestones of Jewish cemeteries in Spain. He ordered his heirs to use the signature in perpetuity. 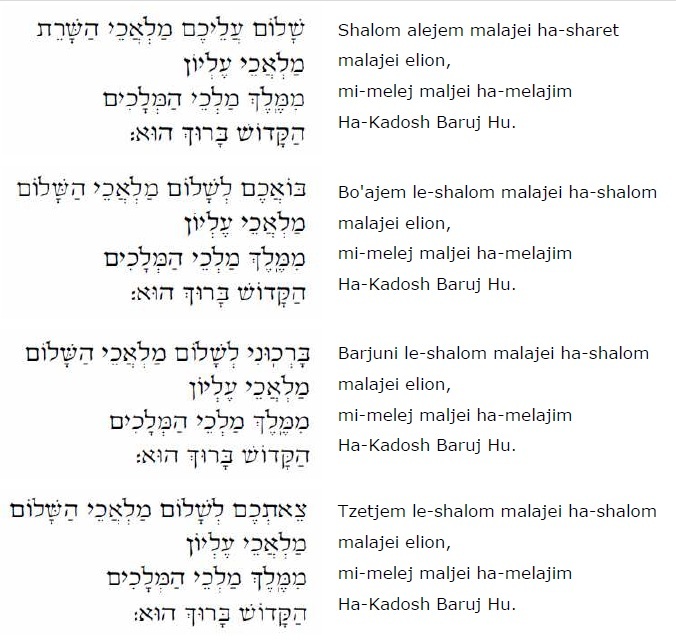 According to British historian Cecil Roth’s “The History of the Marranos,” the anagram was a cryptic substitute for the Kaddish, a prayer recited in the synagogue by mourners after the death of a close relative. Thus, Columbus’ subterfuge allowed his sons to say Kaddish for their crypto-Jewish father when he died. Finally, Columbus left money to support the crusade he hoped his successors would take up to liberate the Holy Land. Estelle Irizarry, a linguistics professor at Georgetown University, has analyzed the language and syntax of hundreds of handwritten letters, diaries and documents of Columbus and concluded that the explorer’s primary written and spoken language was Castilian Spanish. Irizarry explains that 15th-century Castilian Spanish was the “Yiddish” of Spanish Jewry, known as “Ladino.” At the top left-hand corner of all but one of the 13 letters written by Columbus to his son Diego contained the handwritten Hebrew letters bet-hei, meaning b’ezrat Hashem (with God’s help). Observant Jews have for centuries customarily added this blessing to their letters. No letters to outsiders bear this mark, and the one letter to Diego in which this was omitted was one meant for King Ferdinand. In Simon Weisenthal’s book, “Sails of Hope,” he argues that Columbus’ voyage was motivated by a desire to find a safe haven for the Jews in light of their expulsion from Spain. Likewise, Carol Delaney, a cultural anthropologist at Stanford University, concludes that Columbus was a deeply religious man whose purpose was to sail to Asia to obtain gold in order to finance a crusade to take back Jerusalem and rebuild the Jews’ holy Temple. In Columbus’ day, Jews widely believed that Jerusalem had to be liberated and the Temple rebuilt for the Messiah to come. Columbus’ voyage was not, as is commonly believed, funded by the deep pockets of Queen Isabella, but rather by two Jewish Conversos and another prominent Jew. Louis de Santangel and Gabriel Sanchez advanced an interest free loan of 17,000 ducats from their own pockets to help pay for the voyage, as did Don Isaac Abrabanel, rabbi and Jewish statesman. Indeed, the first two letters Columbus sent back from his journey were not to Ferdinand and Isabella, but to Santangel and Sanchez, thanking them for their support and telling them what he had found. The evidence seem to bear out a far more complicated picture of the man for whom our nation now celebrates a national holiday and has named its capital. As we witness bloodshed the world over in the name of religious freedom, it is valuable to take another look at the man who sailed the seas in search of such freedoms — landing in a place that would eventually come to hold such an ideal at its very core. Segun tomado de, http://www.cnn.com/2012/05/20/opinion/garcia-columbus-jewish/ el miercoles, 4 de marzo de 2015. “You survive, you honor us by living,” said Martin Greenfield, now a New York master tailor, recalling his father’s words after he was liberated from the Buchenwald concentration camp. The quote could easily be taken as the theme of “The Jewish Journey: America,” a PBS documentary tracking the migrations over 350 years of Jews fleeing Latin America, czarist Russia, Nazi Germany and the Muslim world for these shores. The one-hour program, opening with a majestic rendition of “America the Beautiful,” will air on PBS stations nationwide in March and April. The show is produced, directed and written by Andrew Goldberg, who has become the semi-official Jewish chronicler for PBS, with such productions as “The Yiddish World Remembered” (2002), “Anti-Semitism in the 21st Century” (2007) and “Jerusalem: Center of the World” (2009). While many Jews arrived in the United States seeking refuge from persecution, millions more came for economic reasons — to build better lives for themselves and their children in the New World. The first Jews to arrive in the future United States were 23 Sephardim who fled the Portuguese Inquisition in Brazil in 1654. They settled in New Amsterdam, later known as New York. They were followed by Jews fleeing failed revolutions in Europe in the 1840s and later by Gold Rush fortune seekers. But by the 1870s, Jews in the United States numbered no more than 200,000. By 1927, the American Jewish population had skyrocketed to more than 4 million, spurred by the massive influx of 1.5 million Jews from Eastern Europe, predominantly Russia, between 1880 and 1910. It speaks to the Jewish penchant for founding and then splitting into separate groups that there were some 17,500 Jewish organizations in the United States in 1927. The mass immigration from the Pale of Settlement gives the film a chance to draw on various archives to illustrate the lives of poor Jews — the wealthy ones mostly stayed put – both in the shtetl and then on New York’s crowded Lower East Side. Often overlooked in the triumphant rendition of the American Dream is the film’s description of the emotional price paid by emigrants as they separated from families and traditions that had bound them together for generations. Though the new immigrants endured hard times in their adopted country, they usually wrote glowing letters of their success to the folks back home, which triggered even more immigration. With the post-World War I recession and fear of the communist revolution in Russia came growing xenophobia, culminating in the 1924 Immigration Act, which narrowed the once wide-open entrance to the United States, especially to applicants from Eastern and Southern Europe. A small but steady trickle of Jews arrived after World War II from displaced persons camps. More came after establishment of the State of Israel, fleeing hostility to Jews in Islamic countries in North Africa and the Middle East. Another wave arrived after the 1979 Islamic Revolution in Iran, followed by Soviet Jews in the 1990s. Integration of the new immigrants was rarely easy. In an illuminating interview, New York Rabbi Marc Angel recalls the dual pressure from his grandfather to strive for success in the new country but still retain Jewish traditions. Yet, Angel concluded, the real miracle was that after so many generations in America, Jews have remained Jews. Producer-director Goldberg, who founded and heads Two Cats Productions, ascribes much of his interest in Jewish-themed films to his own heritage. But there are other reasons as well. 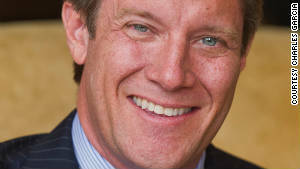 “For one, PBS likes our work, and also there is a community that is willing to fund such documentaries,” he said. Only about one-third of Goldberg’s productions are on Jewish themes. 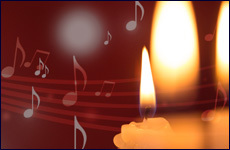 Now in the pipeline are a documentary on animal cruelty and another on the interpretation of classical music. “The Jewish Journey: America” will begin airing nationwide on March 3-2015. Segun tomado de, http://www.virtualjerusalem.com/news.php?Itemid=16179 el martes, 3 de marzo de 2015. Dándoles la bienvenida a los ángeles antes de comenzar la cena del viernes. La mesa está servida con la vajilla de porcelana, los vasos de cristal y los utensilios de plata (tratándose de Shabat, nada se reserva para una ocasión especial, ya que ¡Shabat es la ocasión más especial!). Los que fueron a la sinagoga ya volvieron, y el salón se llena con los cálidos saludos de Shabat Shalom. Todos son invitados a la mesa, mientras comenzamos la cena con una canción. ¡Shalom Alejem! – el saludo que se utiliza tradicionalmente cuando dos judíos se encuentran, también es el nombre de la canción con la que comienza la cena del viernes. Shalom Alejem – que la paz esté con ustedes. Shalom… paz… viene de la palabra hebrea shalem, que significa completo. En el nivel más básico, al cantar esta canción, le estamos pidiendo a Dios que bendiga nuestro hogar con paz, que no haya conflictos entre amigos ni familiares, especialmente en Shabat. El Talmud dice que cuando una persona vuelve a casa desde la sinagoga el viernes a la noche, es acompañada por dos ángeles, uno bueno y uno malo. Si la mesa está bellamente preparada y hay una atmósfera de paz en la casa, el ángel bueno dice: que así sea la próxima semana, y el ángel malo está forzado a decir, ¡Amén, que así sea! Pero si la casa es un desorden (tanto físico como emocional), el ángel malo dice, que así sea la próxima semana, y el ángel bueno está forzado a decir ¡Amén! Sin embargo, en otro nivel, estamos pidiendo completitud: sentir realmente que no nos falta nada – sentir que en Shabat el mundo está completo. Nos sobrecogemos ante esta revelación. Nuestro trabajo de la semana está terminado. El único trabajo que hay para hacer ahora es el de Shabat, que es mucho más profundo, y a menudo también mucho más difícil de realizar: consiste en trabajar en uno mismo, en la completitud real, en convertirnos en la persona que podemos ser. del Rey de reyes, el Santo, Bendito es. Recuerdo muchas cosas de mis primeros Shabatot, pero lo que más resuena en mi mente son las canciones. En mi casa paterna sólo cantábamos en familia cuando era traída una torta de cumpleaños. Entonces, cuando me senté en una mesa de Shabat y escuché el canto de Shalom Alejem, en el que participaban tanto los jóvenes como los ancianos, me emocioné hasta las lágrimas. Pensé: yo también quiero esto, algún día, en mi propia mesa de Shabat. Creo que esa música es fundamental para Shabat. Abre el cielo. Ni siquiera hace falta que sepas la letra, sólo tararea y sigue la corriente, y podrás sentir el poder de una canción de Shabat. Adaptado de Friday Night and Beyond, por Lori Palatnik (Jason Aronson Pub. ).